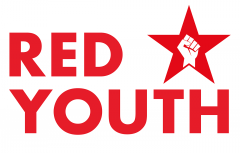 North Koreans endorse Red Youth Video! You may have seen our video addressing – and exposing as completely baseless – the ridiculous nature of the patronising, contemptuous and racist Propaganda peddled in the West as ‘objective criticism’ of the communist leadership and people of the Democratic People’s Republic of Korea? If not, then take another look. In fact, even if you have seen it, take another look – frankly the flimsy but insidious propaganda is so all-pervasive that it will do no harm to have a small dose of truth. The video has already been aired on the party’s YouTube channel – Proletarian TV (subscribe if you haven’t already), and was the subject of a previous blog. North Koreans are so hard… they can walk on the Sun! ?